Plan #12435, LotsMoreHosting Personal [...], $ 4.17/mo. 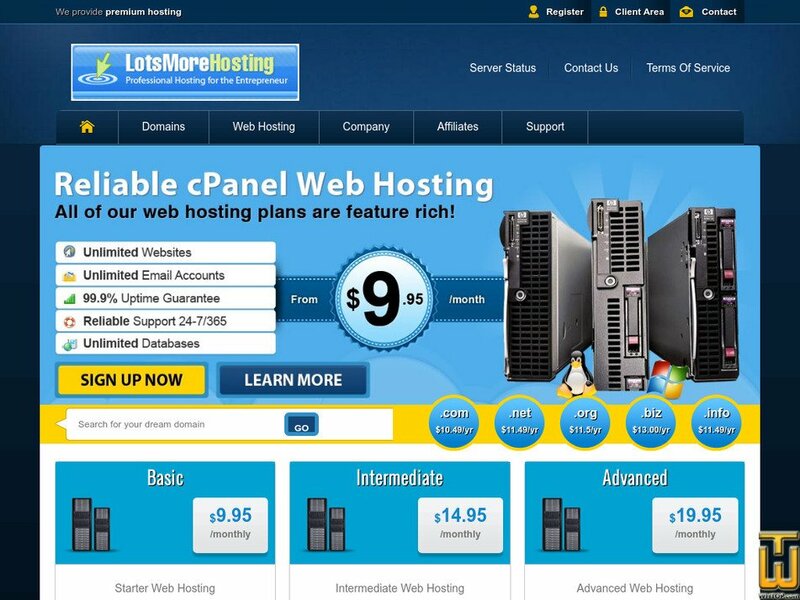 LotsMoreHosting Personal Plan is designed for the individual that does not require at the present time, features that are for marketing, or advertising It is well suited for the person starting out, or that wants to have a simple website, sales letter, or a hobby site. Let's Encrypt SSL: INCLUDED FREE!